The Lodge at Lake Kiowa is the center of activity for community members and guests. In addition to providing fine food in the restaurant and '19th Hole', the Lodge serves as a meeting place for many social clubs, service organizations, dances, entertainment and Sunday Chapel Services. Join family, neighbors and friends for a special event or fine dining at The Lodge at Lake Kiowa. The Lodge at Lake Kiowa is a 12,400 square foot multi-use complex. The building, which opened in 1999, is located on the western shore of the lake with an outdoor covered pavilion situated at the back. The main complex consists of a meeting/conference center, a restaurant, and a tavern. Each hosts a broad spectrum of social activities and events. The Lodge at Lake Kiowa promises a unique backdrop for memorable occasions with exceptional hospitality and service, our meeting rooms are both functional and flexible and our standard of service will exceed your expectations. The Assembly Room accommodates meetings arranged in theatre, schoolroom, conference, U-shaped, reception or banquet style settings. The Southwest Meeting Room invites smaller, more intimate meetings and banquets. The Board Room can be utilized for small business conferences. Whether it is small meetings, conferences, club luncheons, banquets, buffets, receptions, themed events, holiday parties, etc., our experienced staff will provide fine food and excellent service. As your partner, our entire management and staff want your event to be perfect. The restaurant at Lake Kiowa Lodge is designed to meet both your elegant and casual dining needs. The facility has a seating capacity of 75 and gracious décor, with beautiful Lake Kiowa as a back-drop. This is the perfect place for that leisure afternoon sandwich or salad and, as the sun sets, some of the best steaks and culinary dishes available in the area are on the menu. The staff and management are attuned to service standards that are necessary for a great dining experience. In addition to our extensive menu, we prepare a variety of specials that are sure to please even the most discriminating palate. 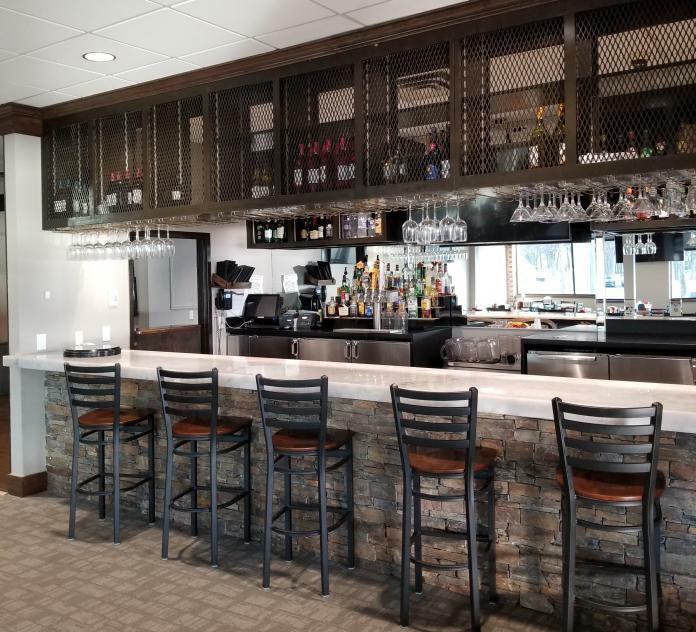 Next to the restaurant is our 19th Hole Tavern that provides a casual atmosphere for refreshments or a long-awaited snack after your round of golf. 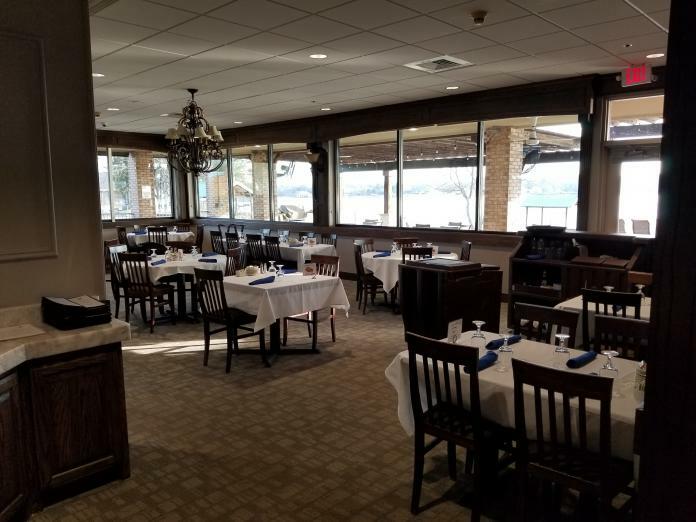 The 19th Hole is a popular gathering spot where friends and neighbors can chat, take part in karaoke, or to just reflect a bit while enjoying a tranquil view of the lake. Adjacent to the Lodge is a 5,000-square foot covered pavilion for more casual events. Newly completed nearby restrooms and dressing areas offer convenience for guests. Have your next function at the Lodge at Lake Kiowa! Pricing is established in accordance with market conditions. Firm prices will be quoted 90 days prior to each function. Event may be cancelled no later than 30 days prior without penalty. Groups requesting a tax exemption must submit a tax exemption number at contract signing. 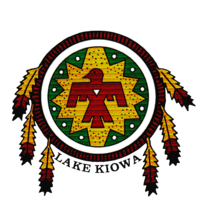 Seven days prior the scheduled event, groups will be issued numbered and dated passes permitting entry onto Lake Kiowa property. In accordance with LKPOA policy, neither groups nor individuals are permitted to bring food into the Lodge Complex. State liquor laws prohibit any group or individual from entering or leaving with alcoholic beverage items in their possession. Function prices DO NOT include applicable service charges and sales tax. The Lake Kiowa Lodge Restaurant and the 19th Hole Tavern employ some to the top chefs in North Texas. They have the capability of providing food and beverages to serve groups of up to 300 people. The choice of their cuisine is almost unlimited and ranges from classic French to Pacific Rim dishes. They also are versed in regional selections from Texas barbeque to Louisiana Cajun specialties. We have a variety of menus from which you can choose, or our chefs will be happy to create a personalized menu just for your special occasion. We can provide either beautifully plated meals or tantalizing buffets.